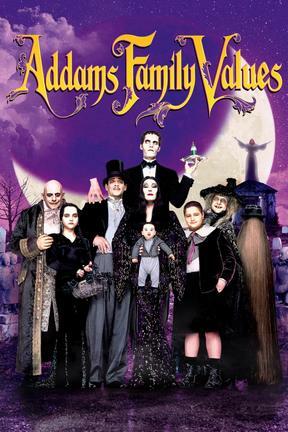 Despite their strange clothes and quirky behavior the Addams family still love each other and that isn't diminished by all the weirdness. It also shows the importance of being true to yourself and never conforming to fit in with others. Again, much more than in the first movie -- or perhaps it just feels more problematic, since a baby is often the intended victim. A voluptuous villain has explicit sexual designs on Uncle Fester; seduction and discussions of virginity. More than in the first movie- -- frequent mild language.